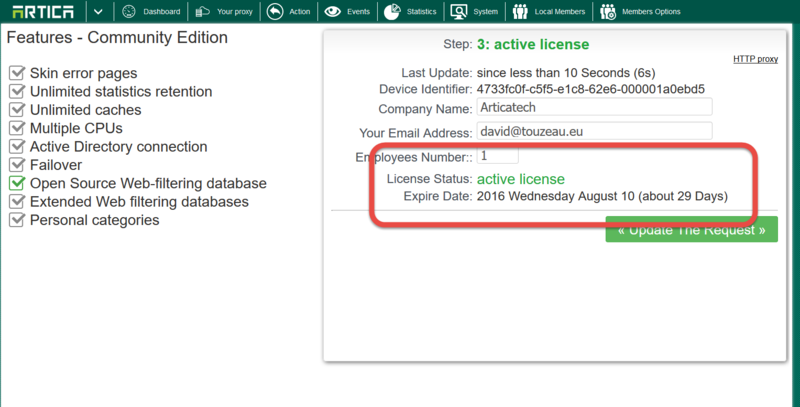 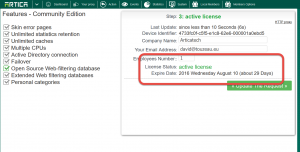 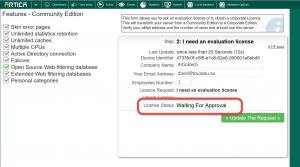 Home » License » How to get a trial Enterprise license ? 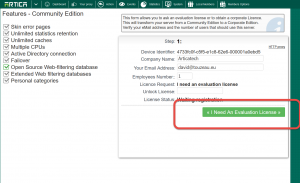 How to get a trial Enterprise license ? 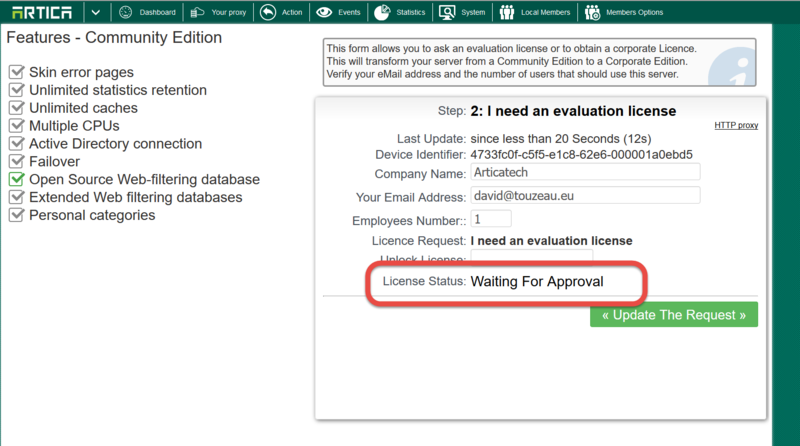 To test the Entreprise License, you have to submit the evaluation form inside Artica. 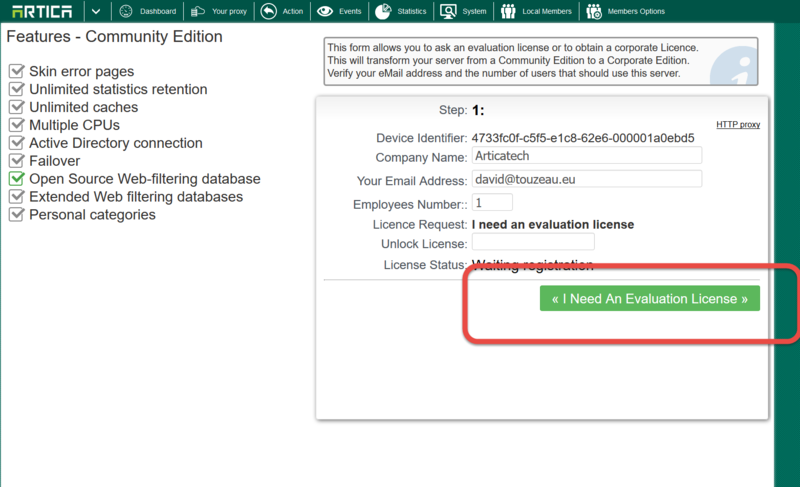 Click on the “Update the request” button.